Sukhmani Associates has earned a name of repute for itself in the real estate domain. 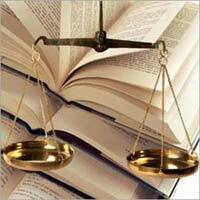 The company offers highly effective Property Legal Advisory services in Noida, Uttar Pradesh to the esteemed clients. We are a renowned Property legal Advisor and our work specialty includes Property Documentation, Property Registration, and Property Valuation Services in Uttar Pradesh. We sincerely abide by the government norms & guidelines and duly follow all the official rules and regulations, to keep our clients away from any sort of legal hassle in the future. We are a very reputed property Legal Advisor in Noida, offering efficient legal advice to prospective property buyers. We comprise a team of highly qualified legal experts, who possess a vast experience in handling the most convoluted property related legal issues. In addition, the legal experts efficiently take care of all the convoluted paperwork and ensure complete customer satisfaction.